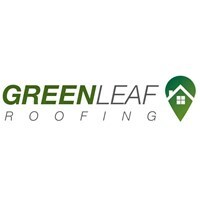 Greenleaf Roofing - Roofer based in Barnsley, South Yorkshire. A Fresh Approach To Roofing! Here at Greenleaf Roofing we believe in providing only the best all round customer service from start to finish. From initial enquiry to after sales care and everything inbetween, we will stop at nothing to make your experience with us as easy and stress free as possible. With over 16 years quality experience in all aspects of roofing you can rest assured that your biggest asset is in safe hands with us. We understand how daunting it can be choosing the right trades person, that's why we work hard from the off to implement trust and a quality first impression. We are freefoam registered installers, allowing us to offer long manufacturers guarantees on a wide range of our materials. We are also LABC registered (local Authority Building Control) working along side local authorities, so for peace of mind you can rest assured that all our work within our company is monitored, regulated and complies with current building control regulations. As part of our on going commitment to customer service we will listen, advise and assist you at every step of the way. We will only use the best quality materials implemented in a way to last a lifetime. All of our work and materials come with long extended guarantees of up to 50 years. We have in house services to carry out every step of the process thus keeping the costs low to the customer. All staff are employed and trained in house we do not use 3rd party contractors. We do not accept deposits or any monies up front. Payment will only be due on satisfactory completion of the job. We are also fully insured for damages of up to £1 million. Call Today On 01226 210 957 For A Free Roof Inspection And A Written Quote!